A flashback to a day last spring. 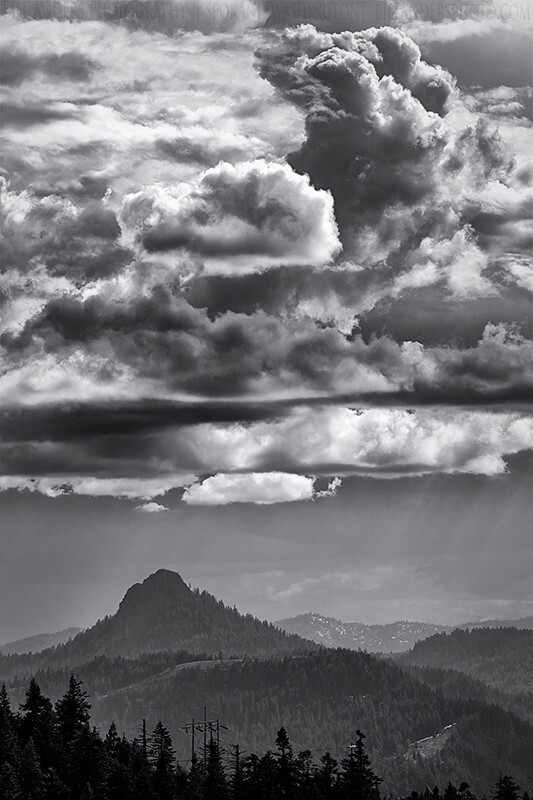 Goddess and I were sitting with a friend on a bluff overlooking the Rogue Valley in southern Oregon, watching the rain showers roll past. There are five climbers silhouetted on the summit of Pilot Rock that are only visible in the original image. Discovering them made me smile, thinking of another day a couple of years ago where we made that same climb with friends. Tisk Tisk…you mean you rubbed em out? Nope. Perhaps I’ll attach a zoomed in copy. No violence here.